Do you see the highlights? LINER is a web highlighter for mobile and desktop. Start highlighting to save and share important parts of the internet. Don’t know how to change a tire when you desperately need to? No problem. What if all you needed was a set of glasses and an expert technician would virtually come to wherever you are and walk you through the necessary steps? That same set of glasses can help train doctors and CIA agents in environments deemed dangerous in the real world. It could teach drone pilots how to navigate surroundings that aren’t so practical. It could take you and your family on a trip to the Louvre Museum without you ever setting foot in France. This is the power of Augmented Reality (AR), an industry that’s projected to reach $50 billion by 2021 and $7 trillion by 2027. Brands and businesses were able to catch a glimpse of the impact AR can have on industries across the board with Pokémon Go. Who could forget the craze that turned hordes of people into “hunters” who walked and walked from bars to restaurants to coffee shops to literally anywhere they could in search of Pokémon creatures to catch in real-life. If the explosion of Pokemon Go taught brands and businesses anything, it’s that the mass adoption of AR is real and it’s here. It won’t be long before we have AR and VR capability in all of our handheld devices, predicts futurist Charlie Fink, and we’ll no longer see our phone’s camera as a camera, but as a third eye in a very obtainable virtual world. Take a look at Apple’s ARKit, an easy-to-use developer kit for AR applications and software, that allows simple integration of the virtual world with the real world. That means never getting lost again because your map will literally come to life. That means bedtime stories are about to get a lot more exciting because characters can come alive in your child’s bedroom. That also means something as simple -- and necessary -- as always having a virtual measuring tape when you need it. The usage of AR can make huge transformations in healthcare. There are technologies like AccuVein which enables nurses to more successfully find veins by providing a 3D outline of their exact location and precise anatomic structure. For doctors, AR technology can enhance success in brain surgeries, ablations, ligament repairs, and much more. The same technology can then be used by patients during aftercare by gamifying exercises that can help hasten repair time and prevent against re-injury. 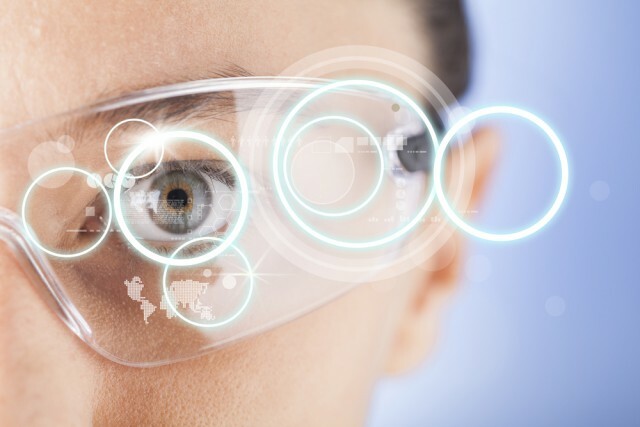 AR technologies, like Augmedix, can take on documentation and administrative tasks so that providers can spend more quality time getting to know their patients. Instead of the average 20 hours that a doctor spends in front of their computers updating patients’ records, they can slash that by 75 percent by using Augmedix&apos;s app, powered by Google Glass. By wearing the smart glasses during appointments, doctors have a live stream that pulls up whatever information they need on the patient. As a result, they’re not rushed during doctor-patient interaction and can spend more facetime with each patient. Just as Pokémon Go captivated a mass audience, gamification will be key to AR adoption in the work world. From sales -- by introducing points and rewards to top performers -- to customer service training -- by placing employees in real-world situations and then rewarding them based on their reactions -- brands and businesses can boost motivation and the morale of their employees. Building this kind of brand loyalty hugely translates to dollars and cents. Aside from creating a more productive, happier workplace, gamification can also make work a safer environment for employees. For instance, DAQRI, has already produced a smart helmet that protects workers by providing them with data visualization which would allow them to better avoid mistakes, spot danger, and predict potential catastrophe. With AR, designers can sit in the car they’re building before they even build it. They can see it, test it, try out its applications, and make changes accordingly in their real-world creations. This kind of revolution isn’t reserved for just car-building. Imagine the same potential for nuclear facilities, electrical plants, large-scale farms factories, and any kind of machine that produce other machines. Allowing designers to experience their work in this kind of way can lead to more innovative products at lower costs and potentially, lower price tags for consumers. According to a 2016 Retail Perceptions report, consumers want an AR experience when it comes to shopping. They want to see what the items will look like on them and see how products will look in their home before potentially heading into a brick-and-mortar store to look at the item. And imagine the customer service potential. AR apps make it possible for sales reps to virtually appear when consumers are browsing or in the “dressing room” to help match potential purchases with what’s already in the closet. With Apple’s ARKit and Android’s ARCore, there will be fundamental shifts in the learning area. For instance, in areas of the world where access to safe and affordable surgery isn’t a reality or in situations where doctors aren’t available, AR can show through a 3D image exactly what to do, where to cut, how deep, and what it should look like. On the other hand, AR can also teach simple, household lessons like fixing an iPhone screen or fixing a tire. Ashish Toshniwal is CEO and founder of Y Media Labs, a Silicon Valley based creative technology company that helps brands re-imagine their customer experiences. 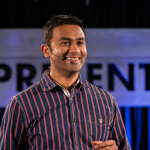 In his spare time, Ashish is an investor in numerous mobile-first technology companies, and a frequent speaker on the future of mobile, emerging technologies and business transformation in the digital age.